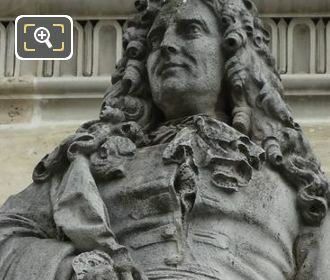 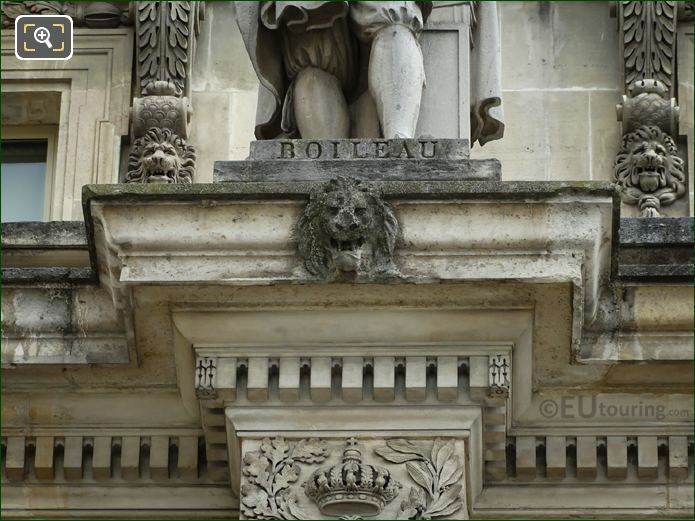 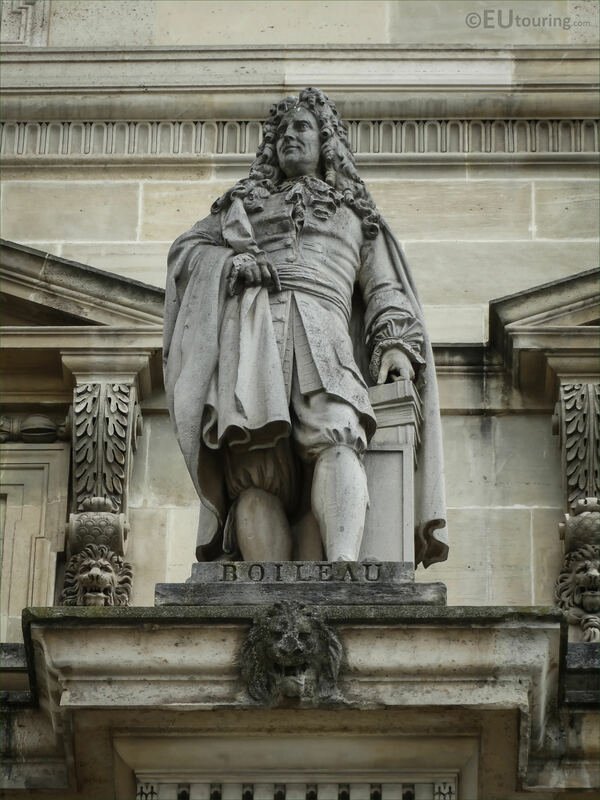 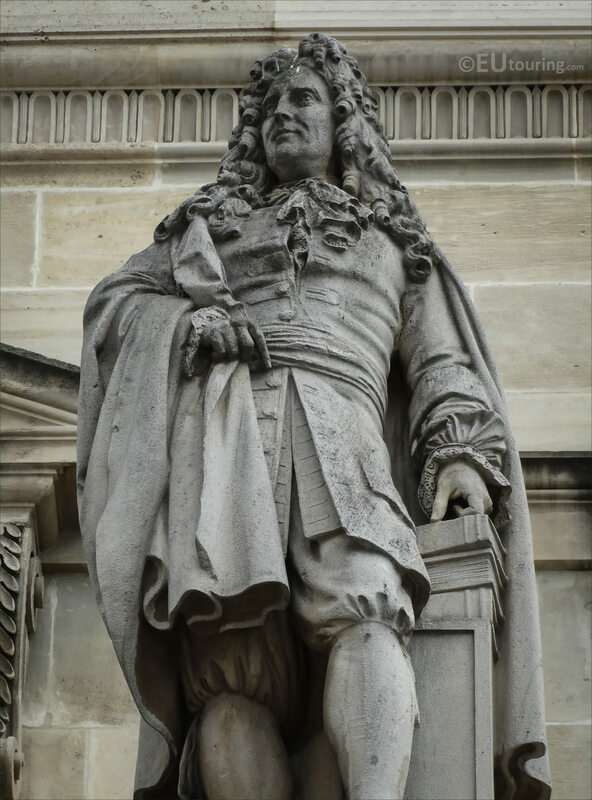 With these high definition photos you can see the last named statue located on the Aile en retour Turgot, which is one of the facades on the Musee du Louvre facing the Cour du Carrousel and this statue of Boileau was sculpted by Seurre the Younger. You will find the stone statue of Boileau located on the first level of this wing, virtually in the middle positioned between two windows and the Aile en retour Turgot is classed as being within the Cour Napoleon, even though you would need to be at the edge of the Cour du Carrousel nearest the Rue de Rivoli side to see the sculpture. But getting back to this particular statue, as you can see in this image, it shows the name of Boileau, which is what this person was normally referred to as, although his full name is Nicolas Boileau-Despreaux, and born in the November of 1636 in Paris he became a French poet and critic, with one of his masterpieces being L'Art Poetique.